While people love to drool and swoon over instagram photos, the number one thing they ask me for is easy fast dinner recipes. Fast Easy Food does not mean the food isn’t comforting, memorable, or enjoyable. It can mean all that and more, because our favorite dinners that I’m going to share with you right now are my go to meals. 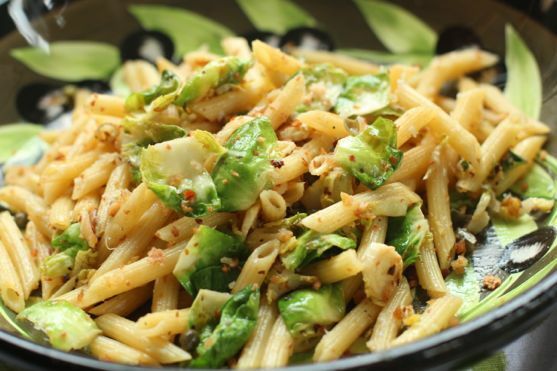 Allow me to dispel the myths of easy fast dinner recipes. Myth #1 Easy fast meals means processed food which comes out of a box with a bunch of chemicals. No no, dear friends. Some of it might come from a box or a can but minimally processed and can still be a “from scratch” dinner. Myth #2 Easy fast meals won’t taste as good as a slow cooking beef stew or five-hour chili. Just watch me give you a black eyed peas chili in 30 minutes that you’ll adore. Myth #3 Everything good in life takes hard work. No. Everything good in life takes smart work, and I’ve already figured that out for you. Here are my 30-minute, not complicated “from scratch” dinners that will enable your family to come to the dinner table more often. The only exception is the 60-minute chicken but the prep is only five minutes. 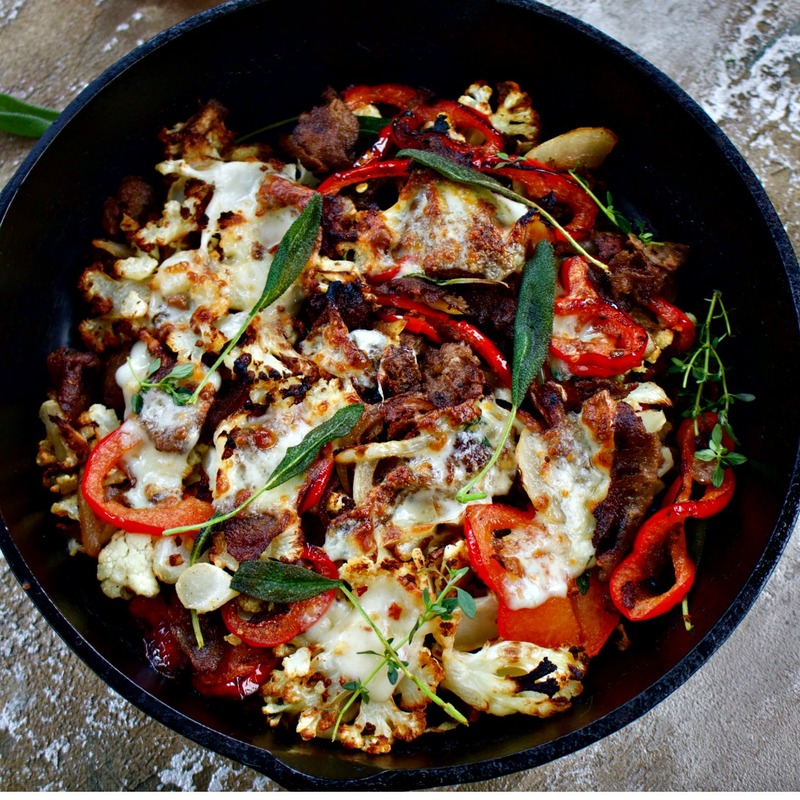 Skillet Cheese Steak with Cauliflower – You can cut steak thinly or use those frozen steaks (which is what I usually do), and this is man food to the max, and low-carb too. Top it with an egg if you so desire. Eat as it, or stuff into rolls. This will make everyone happy. 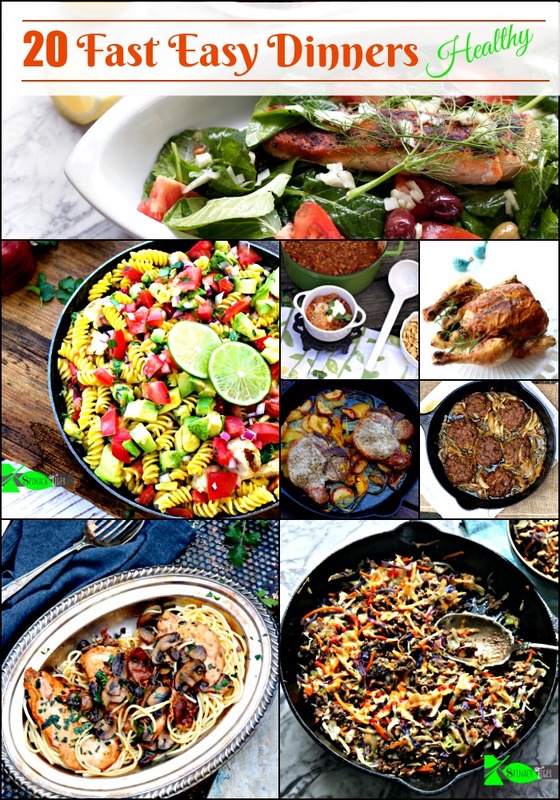 A cast iron pan comes in hand in the five of these recipes. There’s a few anchovies melted into the hot oil to bring a umami experience to plain old penne pasta. This dish is all that and more. 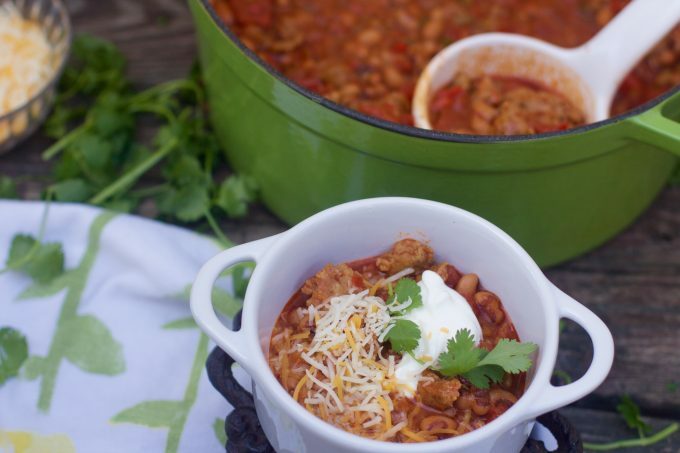 Country Sausage, Black Eyed Peas Chili – Made in 30 minutes. I once made a bunch of recipes for a sausage company and we made this discovery. You can have a bowl chili fast that does not come out of a can. You will need to prep ahead, by taking five minutes to cut up some peppers and onions. Then it’s simply a matter of browning the sausage, adding the ingredients. Serve with sage cornmeal biscuits. 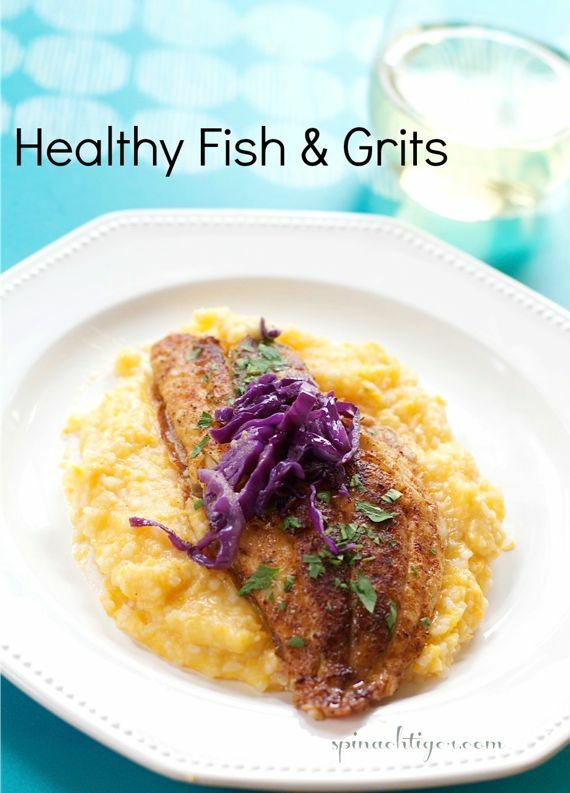 While the grits are cooking, you pan fry the fish and all of this can be done in 30 minutes. So easy and so comforting. 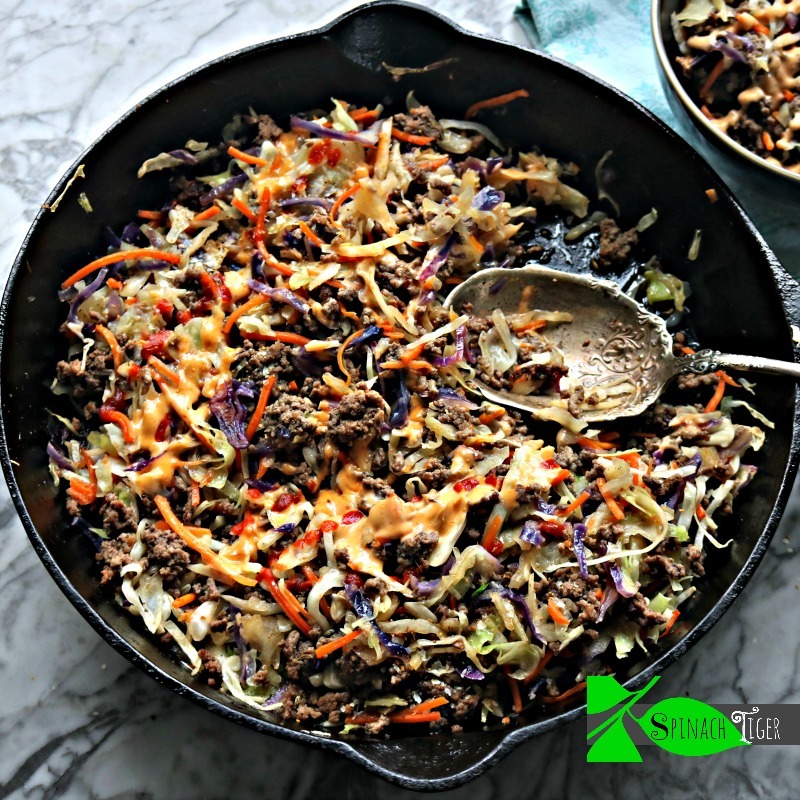 Crack Slaw with Comeback Sauce – Choose any kind of ground meat (we prefer ground chuck) but please do make the very easy three ingredient comeback sauce, because it makes the dish! Sesame oil and sriracha are key flavor boosters. This recipe demonstrates the perfect way to pan fry salmon. Once you learn how to make salmon that is crispy and not overcooked, there are countless fast easy dinner recipes. Other easy salmon dishes include Tarragon Pea Mash here. or Salmon with Beets. Not the greasy diner hamburg steak dinner of the past. 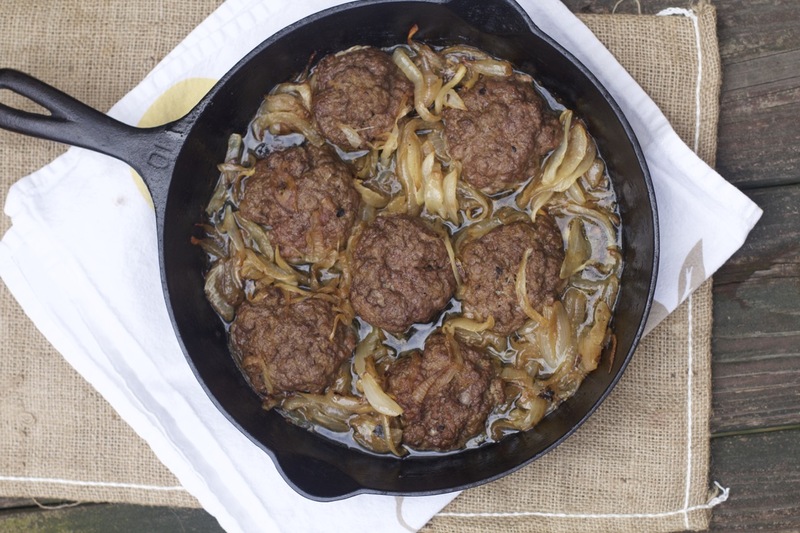 Mix up your ground meat if you desire and bake these in the oven and goes perfectly with these fingerling smashed potatoes or these low carb roasted turnips. 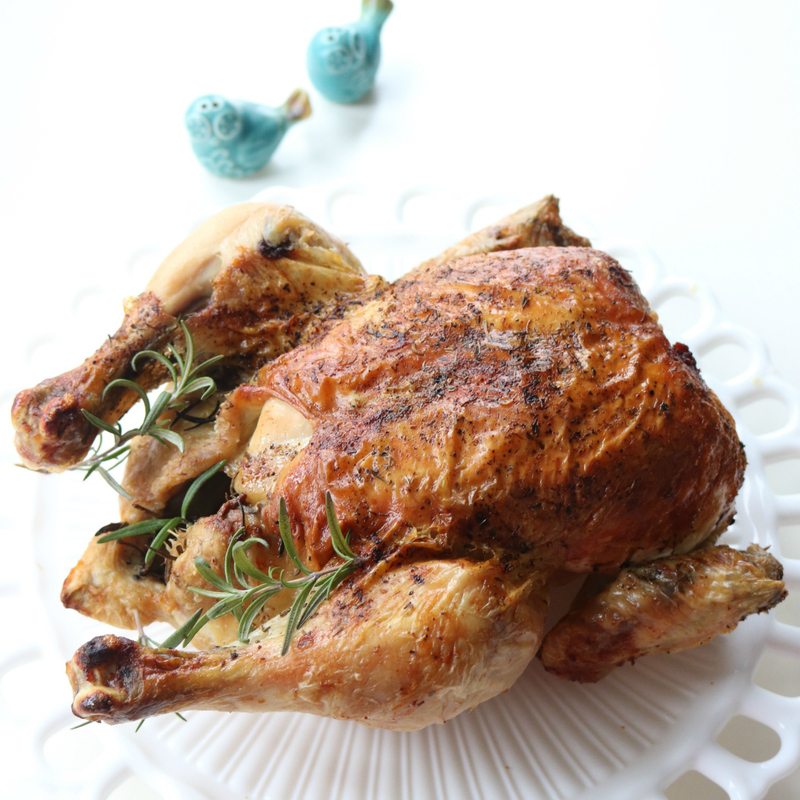 One Hour Italian Roast Chicken – It’s not thirty minutes, but there’s hardly any active cooking time. Throw a potato and a few carrots in there and it’s dinner. 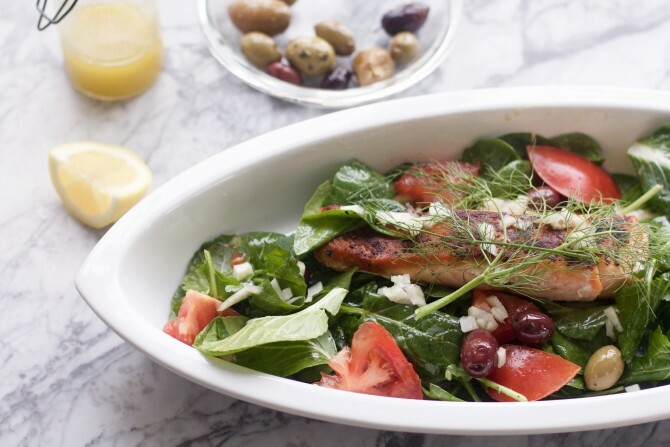 Make this rosemary pecan chicken salad with the leftovers. Frittata is a perfect fast easy weeknight dinner. 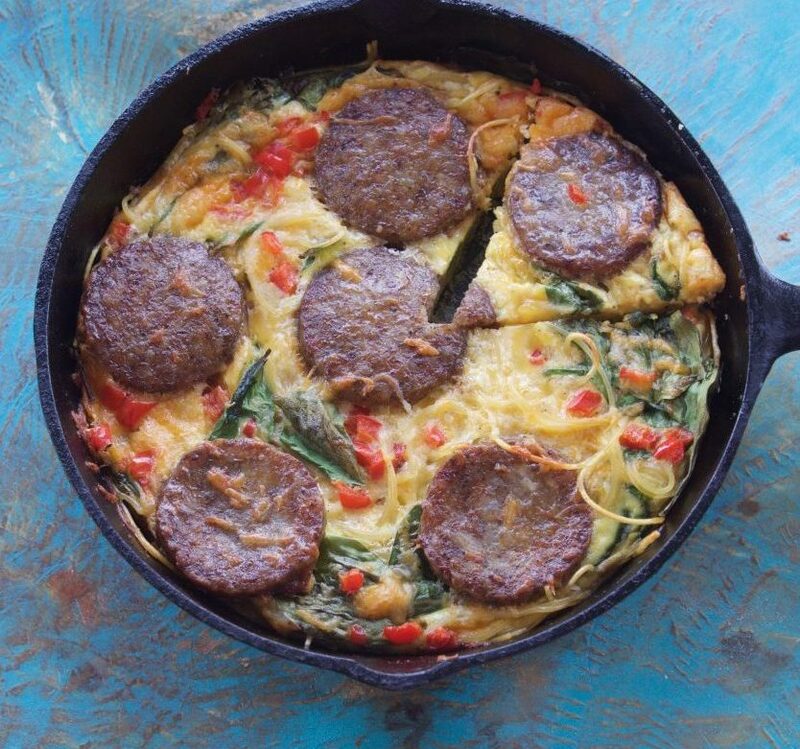 I used country breakfast sausage and spaghetti to make this frittata that gets baked in the oven. Fancy looking food does not have to be complicated. 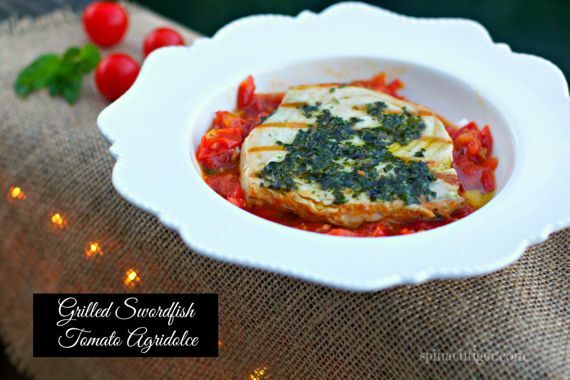 Agridolce is a an Italian sweet and sour tomato condiment. This sounds complicated but the only thing complex here are the flavors driven by the wine and the prosciutto. 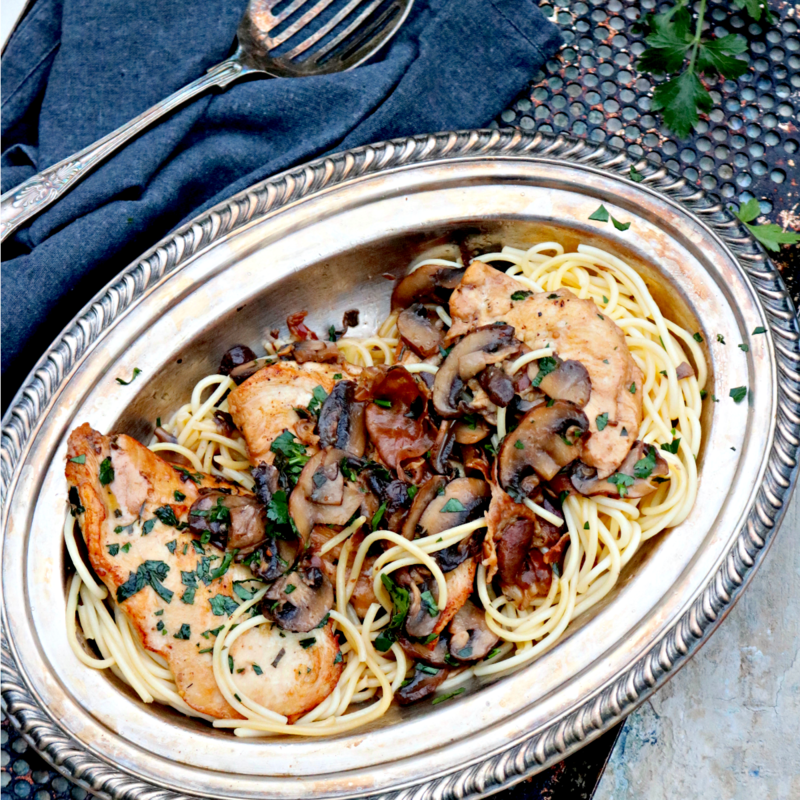 Prep the chicken and mushrooms ahead and this meal can be ready in twenty minutes. 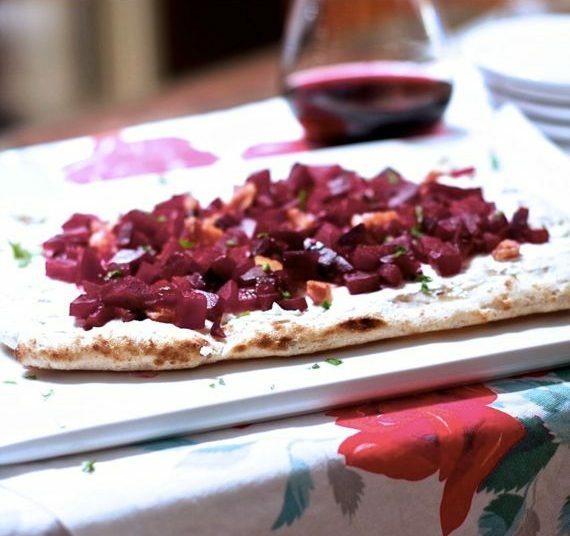 I used Stonefire’s flatbread, roasted beets, baked bacon and it’s an easy put together. Roast beets ahead of time, and this can be ready in twenty minutes. 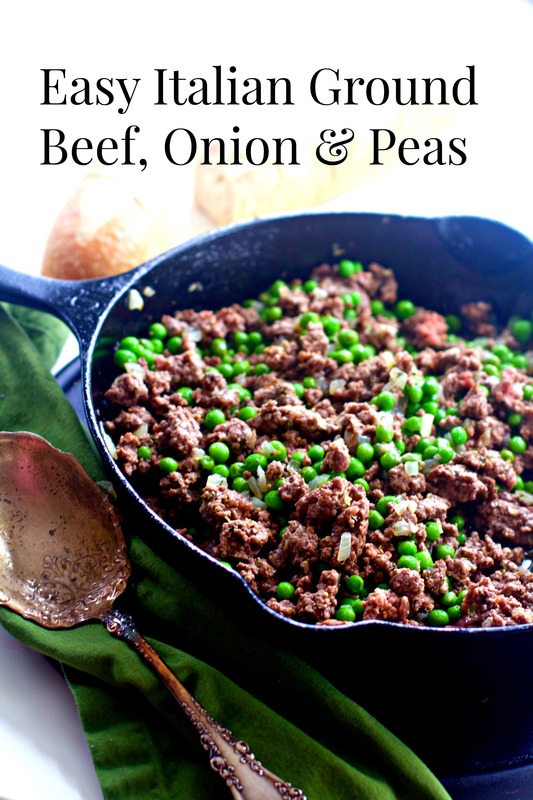 Italian Ground Beef & Peas – It’s basically three ingredients that work well together. You can eat it as is, with pita bread, with rice or even with elbow macaroni. There is an alternate version with pancetta and kale. This is our go to easy peasy dish, and we eat it all the time, fighting over that last bite. 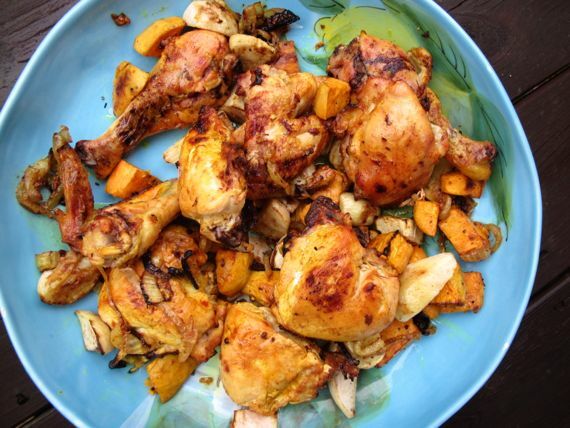 Sometimes I cut the sweet potatoes in big chunks; other times I cut them in discs and roast the chicken over them. Either way, this is another go to dish that we can’t get enough of. Fennel loves seafood. 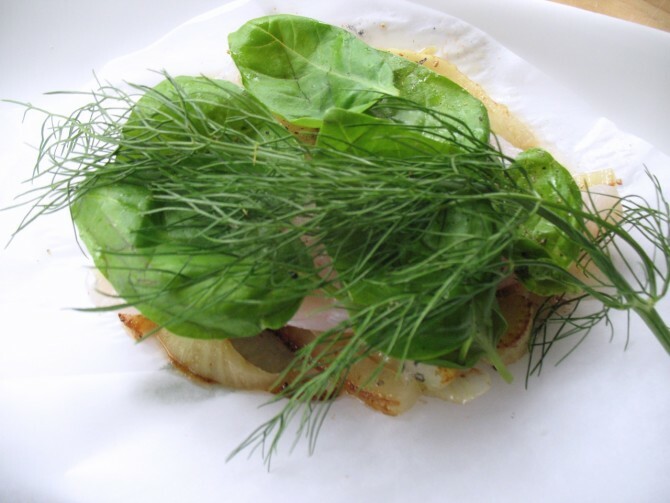 You do need to braise the fennel first, but then it’s just a simple stack, wrap and bake. The fennel can be prepped in advance. 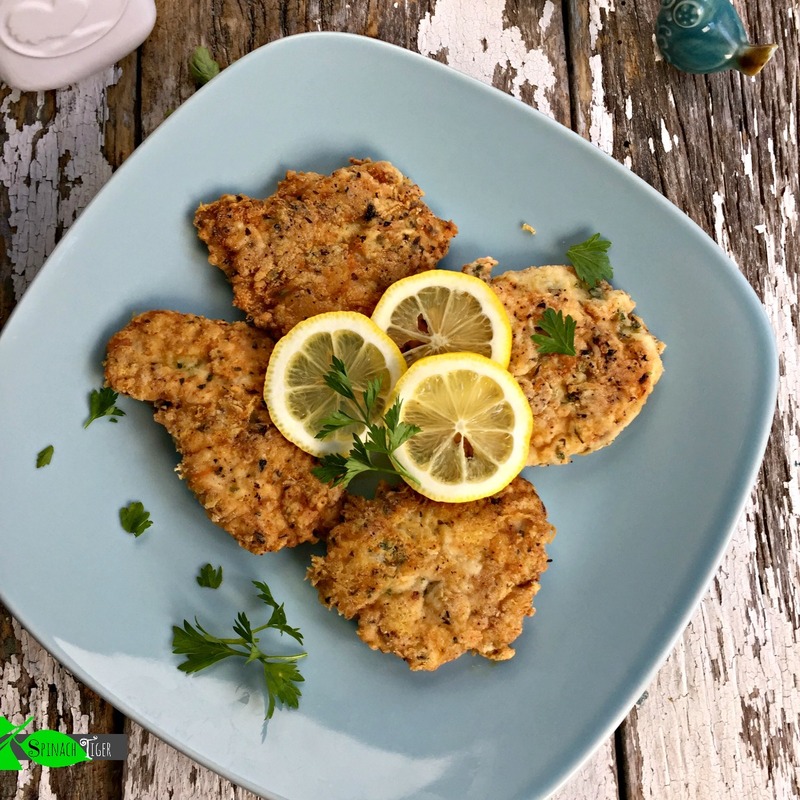 Italian Chicken Cutlets – Each cutlet takes about 8 minutes to fry. Squeeze lemon. Serve with a your favorite sides or top this kale salad for an outstanding dinner. This is a gluten free version, but the same recipe can be made with any flour. 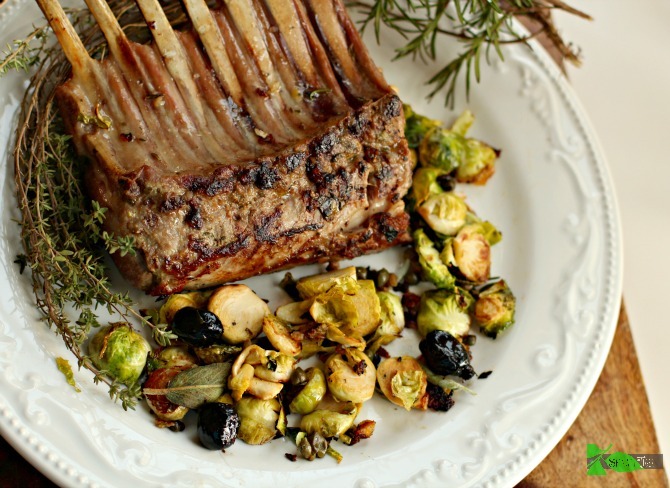 Rack of Lamb with Brussels Sprouts in under 30 Minutes Believe it or not, this is super easy with ten minutes of active time and twenty minutes of roasting. It looks like it takes a lot of work, and you will have to trim the brussels sprouts but that’s about it. 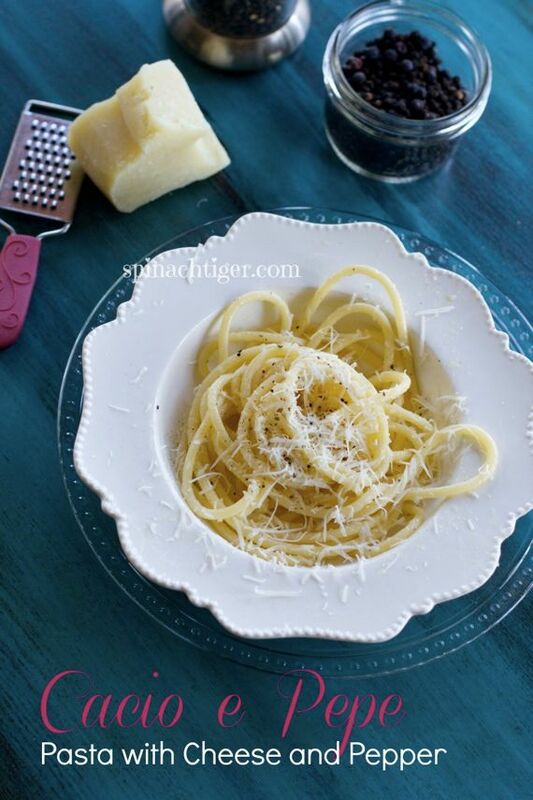 Bucatini with Pecorino Cheese and Black Pepper is an Italian classic that couldn’t be simpler. It’s the kind of pasta you can come home and make late night. 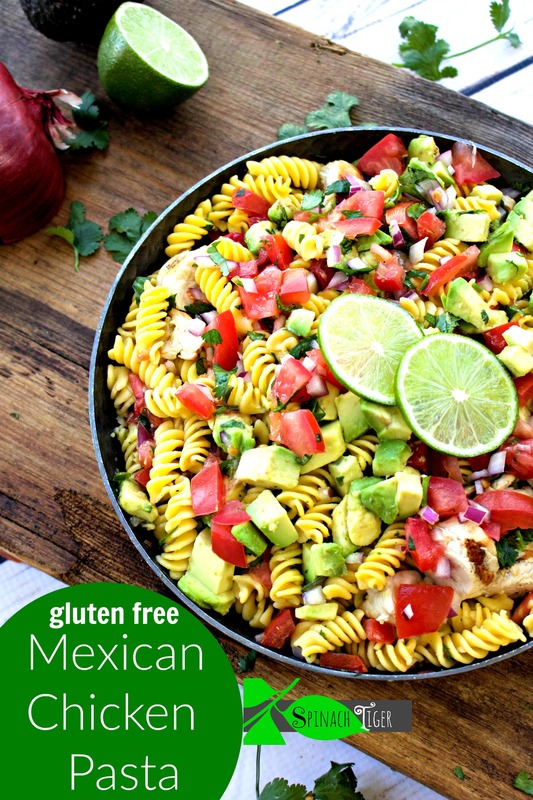 Healthy Mexican Chicken Pasta (See all my big fat healthy chicken pasta dishes here. So tell me friends, what is your fast easy go to dinner? Feel free to leave a link in the comments. This site contains affliate links, which earn SpinachTiger.com a small commision, but do not affect your price. You can read more here.